Squat racks are special training racks for barbells and weight plates which can be found in the power training area of many gyms. There are two different kinds of machines: mounted ones and mobile ones. 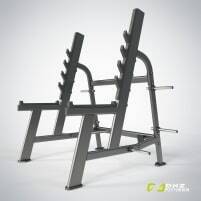 Both are not only suitable for squats, but also for many other exercises like bench press, shoulder press or sidesteps. Important when using the new or used squat rack is to start with the barbells in the correct position. If you’re not a gym member and have no access to gym equipment, you can also buy a new or used gym machine for the training at home. In this case it is important to get advice from a trainer who can tell you exactly how to set up the machine and weights according to your body. However, it is always necessary to warm up and stretch your body to avoid injuries before using a new or used squat rack. Are you closing down a gym and want to sell the gym equipment like used squat racks? On fitnessmarkt.com you have the opportunity to insert used or new fitness equipment. 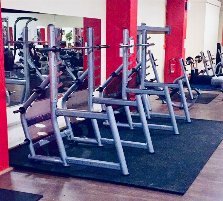 A detailed description as well as some pictures of the new or used squat rack are recommendable so the prospective buyer has the most important information just at a glance. Many prospective buyers are also interested in information about delivery. If you have the possibility to deliver the offered fitness article, you should state this information in your ad.